OK, you've installed the Beaver Builder plugin on your WordPress site. And you've installed a WordPress theme – if you have the Pro or Agency version of Beaver Builder, maybe you've installed the Beaver Builder Theme and child theme. And maybe you're wondering if you really need to add Beaver Themer, a premium add-on plugin. Here's an overview of the Beaver Builder plugin, Beaver Builder Theme, and a little bit about what Beaver Themer adds if you need it. What can I do with Beaver Themer? Here's how Beaver Builder fits into that. 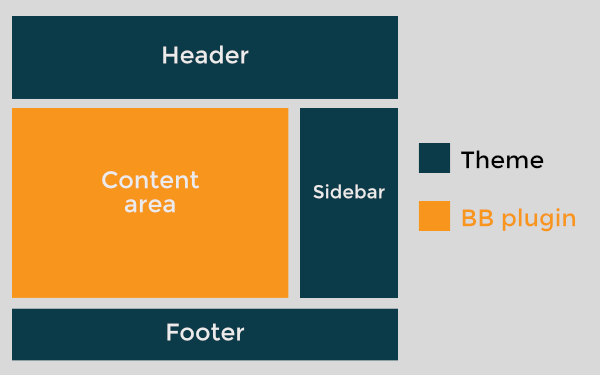 The Beaver Builder plugin lets you create intricate layouts in the content area of the page. 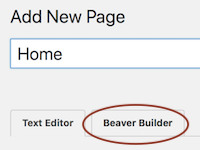 Out of the box, Beaver Builder is enabled for pages, but there are settings to enable it for the content area of posts and custom posts. A WordPress theme is a mandatory component of a WordPress site. It controls the header, footer, and sidebar areas of your site. For a single Post, it also controls the display of post information (post title, author, featured images, categories, and so on). Depending on the theme you choose, you may also be able to configure or suppress these areas on individual pages and posts, using WordPress page templates. The Beaver Themer plugin lets you build layouts in areas outside the content area, which are normally controlled by the theme. You can specify which pages the Themer layouts apply to and which users can see them. Beaver Themer is an add-on that uses the Beaver Builder plugin to build these layouts. See the examples below. On the editing page, you'll see the Beaver Builder admin bar at the top of the screen. Click the Plus icon on the upper right side, and do any of the following to get started. Start with a content layout for the page and modify it. Click the Templates tab and click any template to insert it. Choose a different template type in the Group field for more choices. See this article on layout templates for more information. Add one or more prebuilt row layouts and modify them. Click the Rows tab, in the Group field select Prebuilt rows, then choose a category and drag your selection into the layout. See this article on prebuilt rows. 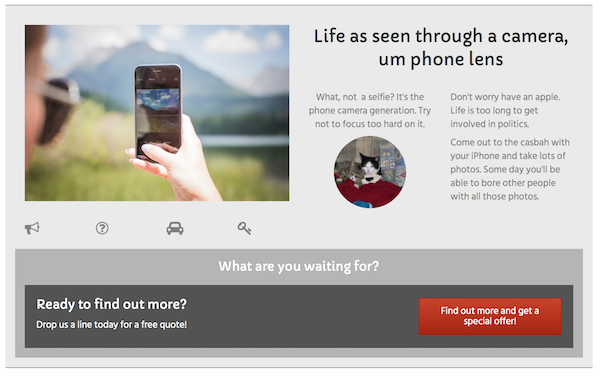 Design your content from scratch by dragging individual modules into the content area. Click the Modules tab and drag a module into the layout. See descriptions of each module, and see the next section for more information about designing layout structrure. Tip: After you or your clients open a page for editing, there's a great quick-start video that you can access by clicking the down arrow in the Beaver Builder admin bar and then in the Tools menu click Help. When you drag content modules from the Content panel to the layout, the rows and columns are automatically created. 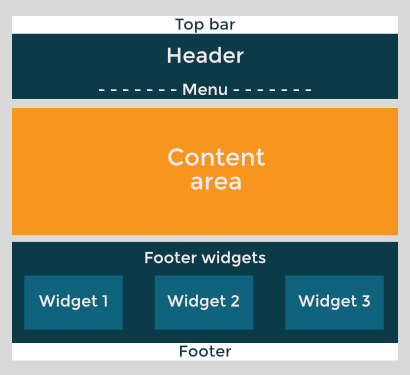 As your layouts become more complex, with columns within columns, sometimes it's easier to drag in row layouts first, then drag content modules into them. For example, here is a single row with three layers of columns. For more information about how columns work, see the column layouts overview. What determines when you start a new row in your layout? See the article on working with rows for some considerations,. Beaver Builder makes layouts look good on medium devices (tablets) and small devices (mobile) with no extra effort on your part. You can check the layout and tweak settings at each device size by entering Responsive Editing Mode inside your layout. For more information about responsive editing settings, start with this overview article on responsiveness. You can save rows and modules globally, so that any change you make in one place is reflected everywhere, or you can save the rows and modules so you can reuse them but can modify them differently in each location. Or you can save the entire layout as a layout template, which you can use on any other page of your site or export for use on another site. If you have the Agency edition of the Beaver Builder plugin, you can white-label the Beaver Builder UI. And with any edition of Beaver Builder, you can create custom editing environments for your clients by controlling which layout templates, rows, and modules are available to them. By default, Page Builder is enabled only for WordPress pages, not for posts. 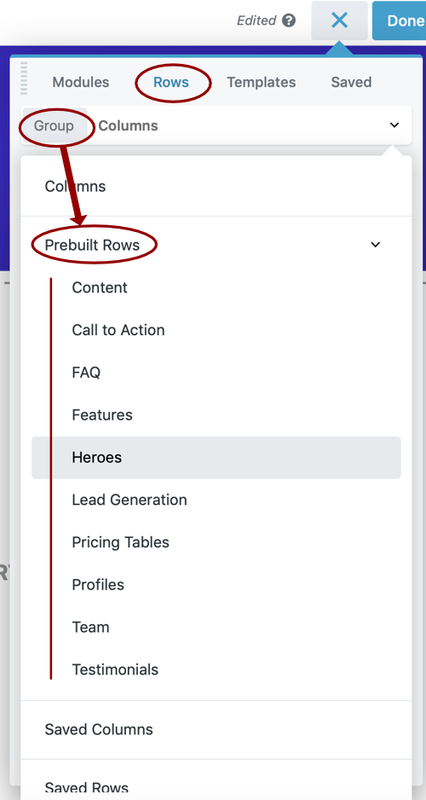 When you enable posts or custom post types, you can use Page Builder to lay out the content area of single posts or custom post types. See the article on using Page Builder with Posts for more information. 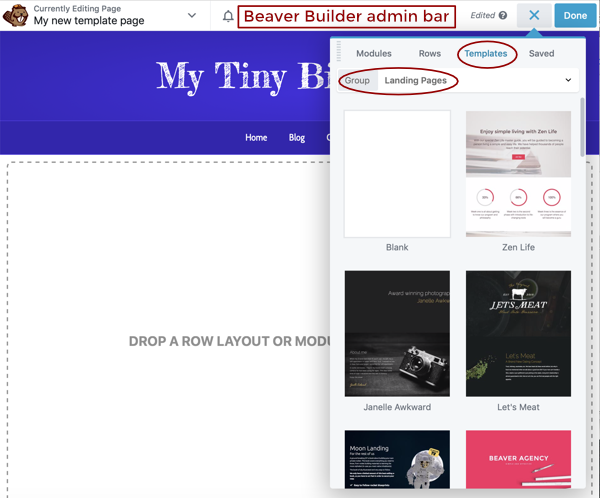 Note: Because WordPress index and archive pages are generated on the fly, you cannot use Beaver Builder to lay out those pages, though you can create Beaver Builder layouts that simulate the generated WordPress pages. For more information, see the article on generated WordPress archives vs. Page Builder layouts. Or, you can use the add-on Beaver Themer plugin to create custom WordPress index, archive, and search result layouts. WordPress requires use of a theme to control areas of the page like the header, footer, and sidebar areas. Themes allow you some degree of customization of appearance in these areas. Presets, which apply built-in styling to the page if you don't want to customize all the theme settings yourself. Layout and styling of the header (top bar, header, nav bar), footer (widgets and footer bar), and sidebar. Layout and options for blog archives, single posts, and WooCommerce. Default style settings for Beaver Builder, such as accent color, heading and text fonts, and buttons. A section where you can add code to the head or body of your pages. The main header, which includes the logo and the nav area with a number of choices of layout. Some header choices allows separate styling of the nav area. 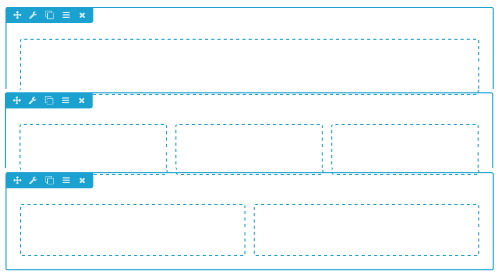 Here's a diagram showing the header and footer subareas. The sidebar is optional but if enabled, it will appear on every archive and post page, and also on any individual page when you set the WordPress template setting to display it. Note that by default there is only one sidebar in Beaver Builder Theme, whose widget content will appear wherever you enable it (all Posts or individual Pages). You can't customize the sidebar widgets differently for individual posts and pages unless you use a third-party plugin or write code. 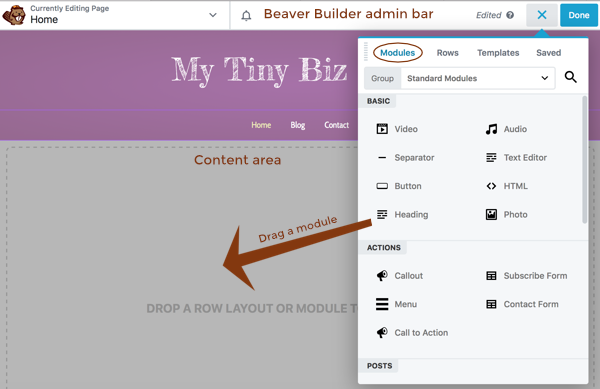 Another way to customize the sidebar is to use the Beaver Builder plugin to create a Sidebar module in your content layout. 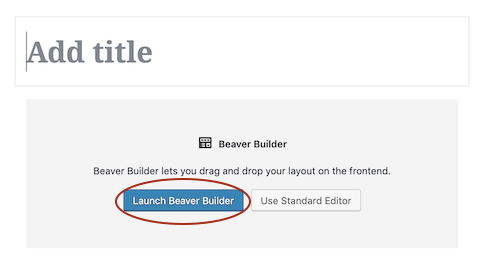 Beaver Builder Theme lets you set some of the defaults for Beaver Builder layouts. This saves time and makes it easy to get conformity in your page layouts site-wide unless you choose to override that behavior. Controls the default behavior or whether images open in a lightbox when clicked. The theme has a shortcode that automatically inserts the current year, both in theme areas of the page and in Beaver Builder and Beaver Themer layouts.